Few Korean households would be without some spicy dipping sauce at the ready, particularly chogochujang, which is sometimes shortened to chojang. This particular spicy-sweet chili pepper dipping sauce, made with Gochujang, the traditional Korean chili red pepper paste, is primarily used for mixed rice dishes, such as bibimbap and hwe dup bap. It adds a significant spice factor to a dish, but also gives off a hint of sweetness. 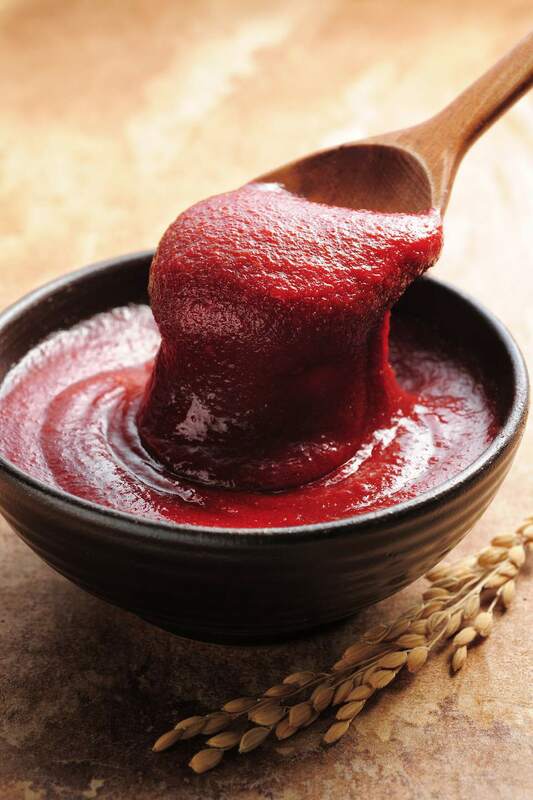 Gochujang generally contains red chili powder, fermented soybeans, ground-up glutinous rice, and salt. Some recipes substitute other grains or starches, including sweet potato, barley, or wheat, for the glutinous rice. Gochujang also can contain a small amount of honey, sugar, or another sweetener. The resulting paste is thick and looks something like brick red icing or toothpaste. In simpler times, most Koreans made their own Gochujang paste. But since the paste must ferment for a month or more, making it time-consuming to create, now Koreans purchase the paste at the supermarket. It's usually sold in tubs that look something like margarine containers, although you also can find them in squeeze bottles. For chogochujang, the chili pepper paste is mixed with sugar, honey, vinegar, garlic, and sesame oil for a flavorful dipping sauce. There are many ways to use this dipping sauce: Stir it into mixed rice dishes, use it as a vegetable dipping sauce, or use it as a spicy salad dressing. You also can use it to season Korean stews and soups or marinate meat. Look for a number or label that indicates the level of spice in your chosen gojuchang product. It comes in five levels of spiciness: mild hot, slight hot, medium hot, very hot, and extreme hot. There's no true substitute for Korean gochujang, but if you can't find it in the store, make a paste of red pepper flakes, soy sauce, and sugar to mimic the flavor, or use harissa in its place (though the end result will have a smokier flavor than if you used gochujang). If you don't have rice vinegar on hand, you can use white vinegar or white wine vinegar in its place. If you prefer a thicker dipping sauce, decrease the amount of vinegar in the recipe. For a thinner sauce, increase the vinegar or thin it out with warm water. Store the chogochujang in an airtight container in the refrigerator for two to three weeks. Ssamjang spicy dipping sauce: Similar to chogochujang, Ssamjang dipping sauce also uses gochujang. Decrease the amount of gojuchang to 2 tablespoons and add 1/4 cup of soybean paste (doenjang). Eliminate the vinegar entirely. Less spicy variation: If this dipping sauce is too spicy for your liking, decrease the amount of gochujang and increase the amount of honey.